Chris Greenhill is a versatile business consultant/advisor and interim manager with a broad experience that spans the private, public and voluntary sectors. He has worked in executive and governance roles. Prior to founding Greenhill Consulting Limited in 2002, Chris followed a career in the telecoms industry culminating in the role of head of corporate communications at the renowned Harlow Labs with responsibility for internal and external communications, community relations and sponsorship. A qualified marketer, he is a strategic thinker who brings the rigour necessary for effective results to all of his work. This, together with sound analytical and organisational attributes enables him to deliver solutions that are both practical and effective. He has a broad skillset with regard to marketing communications including copywriting and creative services management, the latter also drawing on his qualified professional photographer status. Strong interpersonal skills enable him to work alongside individuals at every level of an organisation. 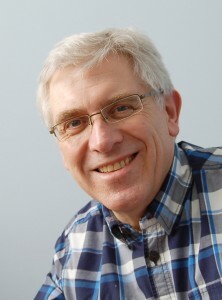 Chris has a strong track record of working with Third Sector organisations as a consultant and interim manager. He also has direct understanding of the non-executive role in an organisation from his roles as a board director and trustee of several charitable companies – Rainbow Services, Young Engineers and Science Alive. In addition to work conducted via his own business, Chris has helped many charities to develop a more ‘business-like’ approach in response to the challenge of public sector reform through his role as a consultant with Eastside Primetimers. He is highly IT literate with a capability that encompasses the full range of business software and extends to image manipulation and draw packages. Keep the money flowing – being profitable is not enough!